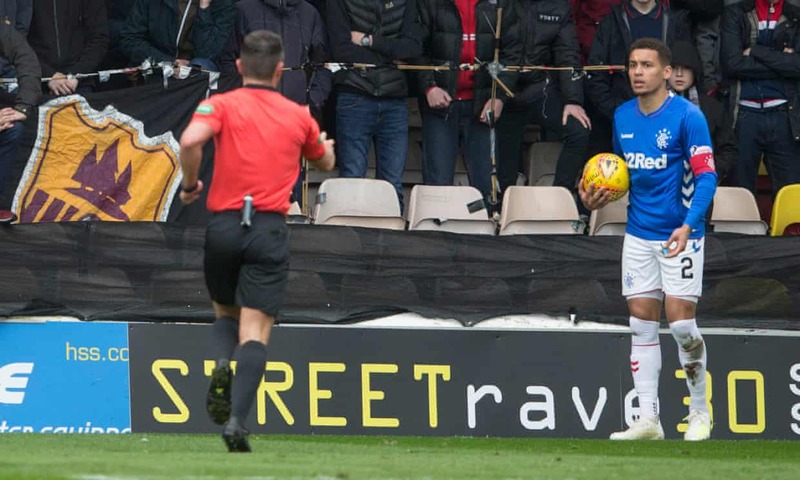 Scottish football was once again plunged into complete shame only days after the last time with attacks on James Tavernier at Fir Park as the Rangers captain got pelted by missiles include a lighter by home thugs hell bent on plunging the game north of the border even further into the abyss than it already is. Hot on the heels of a tonne of incidents over the past 6 months, the atrocity at Fir Park, thankfully which missed the right back, was yet another example of home ‘fans’ behaving like scum and bringing absolute scandal upon their club. Even decent Motherwell fans at the stadium appeared shocked over what their ‘fellow fans’ were doing and gestured angrily at them to stop it, as the youthful yobs continued to pelt Tavernier before security detail came in and surrounded the group. 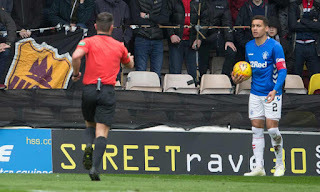 It all adds up to yet more outrage in the Scottish game of dingbats who are just desperate to drag the SPFL and their club down further into the gutter – and even more disgustingly it’s the second attack on Tavernier in just over two months. If CCTV can identify the perpetrators and bring them to justice, all the better, but like the attacks on Boyd and Lennon, probably not. Whatever we think of certain individuals in the SPL, there is no excuse for the attacks, sustained attacks at that that we’re seeing almost weekly now. Scottish football at some point is going to have a genuine tragedy (beyond the attempted murder of Francis McCann) and it’ll be a watershed moment. It’s not if now, it’s when. IT is easy the fans who do this never mind chasing after them the next home game for that club should be played behind closed doors, the clubs can only do so much, but i am sorry shut the gates and i am sure it will stop it and if the away fans throw object their next home match should be played behind closed doors, the cameras can spot what part of the ground these objects come from so show the evidence and tell the club they are shut down for their next home games and let the fans know before hand in the media no excuses as the offence is on film. This particular situation should be fairly easy to resolve. The incident you refer to came at the same section of the ground that previous incidents occurred. I also noticed during the match but before the lighter throwing incident that stewards or police were already taking some action in that part of the ground. In that case then surely at the very least they should've been under observation. It seems we can't walk down the road or enter a building or drive a car without being filmed by CCTV. When should football grounds be any different?